These Fir ombrés go from a jet black to a forest-hunter green. A PNW favorite. Very nice! So far my wife loves all of them and can’t wait to get the next pair! 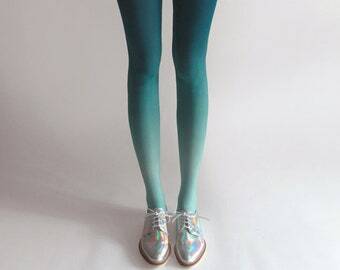 Beautiful tights! I can’t wait to wear them!